My only suggestion would be to add five more minutes of reflexion at the end. Where does On My Knees rank among all the audiobooks you’ve listened to so far? This was by far the most enjoyable experience I've had with an audiobook thus far. Because I was already familiar with the story (I read the book in nine hours on release day) I was able to really get into the performance aspect of this book. I love the characters and felt like these narrators really captured the spirit of not only the story but of the characters themselves. My favorite thing about this love story is that it is one that relates to such a broad range of readers. Cam and Maya are both damaged, neither of them comes to the table offering the world to the other. Cam was my hero because he was an everyman...he wasn't a millionaire dominant or a business tycoon who lavished exotic gifts to try and buy Maya. He knew her better than anyone and used his loved for her to win her over. Have you listened to any of Jennifer Mack and David LeDoux ’s other performances before? How does this one compare? This was my first experience hearing Jennifer and David together, and overall I thought their performance was awesome. One thing I do not like is when she is reading lines for Cam or David is reading lines for Maya, it sometimes feels a little odd, but overall I thought it was a great performance. This book was actually full of HEARTBREAKING moments that I found myself actually crying over Maya's turmoil! And moments where I just wanted to scream at both of them in frustration, but overall it was just such a moving love story...an emotional roller coaster from beginning to end. I miss Maya and Cam already! This is not what I would call a "beach read". If that's what a reader is looking for this is not the right book. This was an emotional story of love, loss, forgiveness and redemption. I would recommend it to EVERYONE, just be prepared for a very intense read (and/or listen). 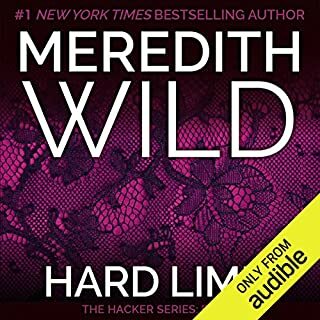 Where does Hard Limit rank among all the audiobooks you’ve listened to so far? I do not listen to audiobooks all that often because it can be hard for me to concentrate on the story. 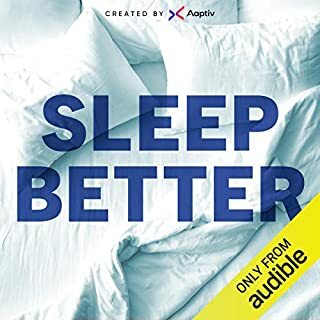 I will say that I had already read this book before listening to the Audible book. I was riveted to this story, in fact I was up all night because I just could not choose a stopping point. What about Jennifer Stark and Victor Bevine ’s performance did you like? I felt like they did a nice job in the powerful scenes, which was pretty important for a book like this. Keep in mind that this is a fourth book in a series so it would be helpful to have read the first three books in the series before listening to this audio book. I would have like the narrators to feel more like the characters I had in my mind. Victor did not strike me as a dominant male at all. Loved it Meredith! 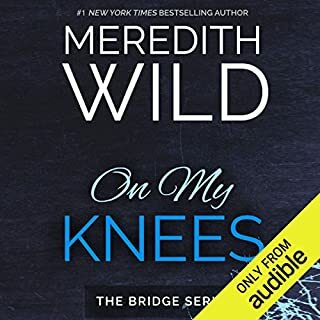 I'll be excited to get the rest of the Hacker Series Hardwired, Hardpressed, and Hardline) audio books when they become available, but I am most excited for On My Knees and the next books in the Bridge series.